Every artist works with cardboard at some point. College art students build models and larger than life copies of everyday objects. 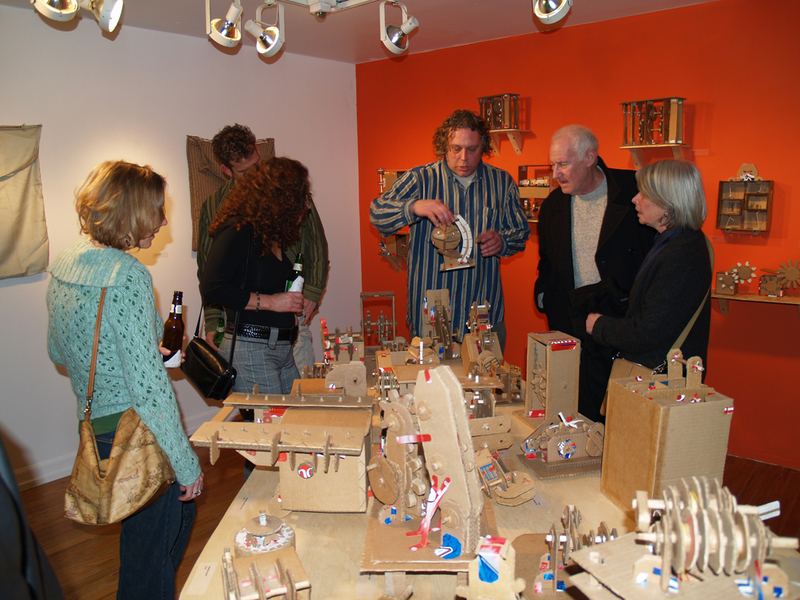 Extreme examples of hyper-real cardboard fabrications often appear in gallery shows. 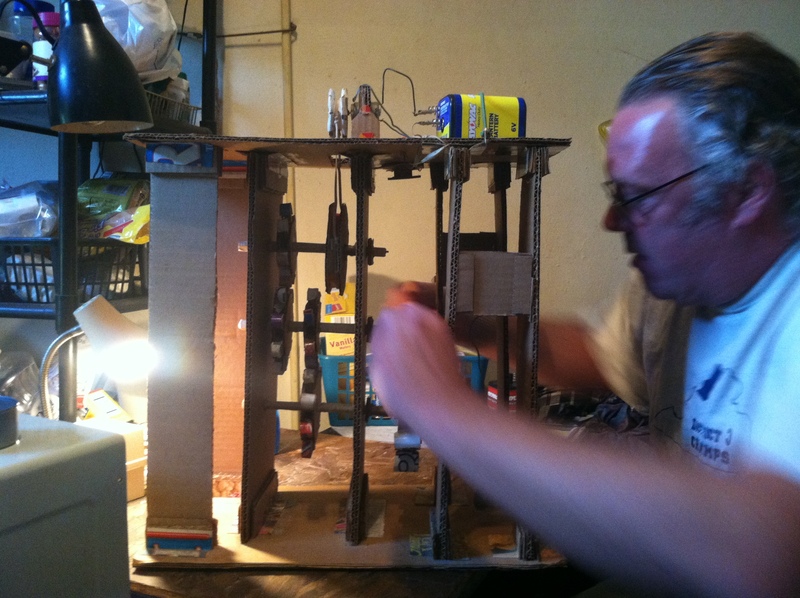 The work of East Pittsburgh artist Doug Hill stands apart from the work I have seen, as Hill is more concerned with the mechanical gadgets he creates than the viewer’s awareness of cardboard as medium. 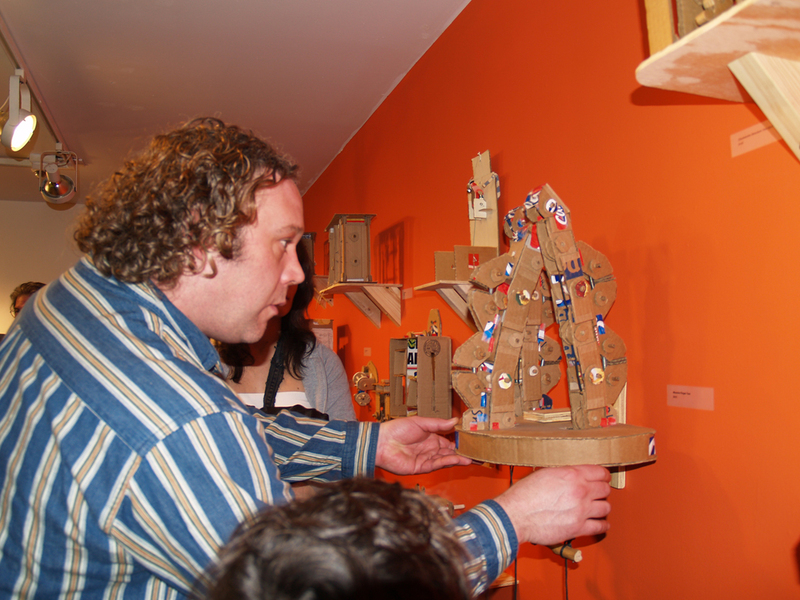 Hill creates gears, gadgets and tools with cardboard as a portrait artist would sketch with pencils. He never measures his materials. He cuts, bends and folds as he realizes the mechanical objects in his mind. Hill has been making work for many years. In 2008, I curated a show of his work (along with the work of Dorothy Williams) at Pittsburgh Center for the Arts. Hill has been showing his work in the shop at PCA since that show. His sculptures have also been featured in shows at The Brew House, The Irma Freeman Center, FE Gallery and at The Tom Museum, my installation project at the Mattress Factory. Hill was a regular visitor there on Saturday mornings, conducting demonstrations and greeting visitors. I did a studio visit with Hill last week. He is testing some new designs and is looking for another show opportunity. Studio visit with Doug Hill, September 18th, 2013. Battery-powered clock device. 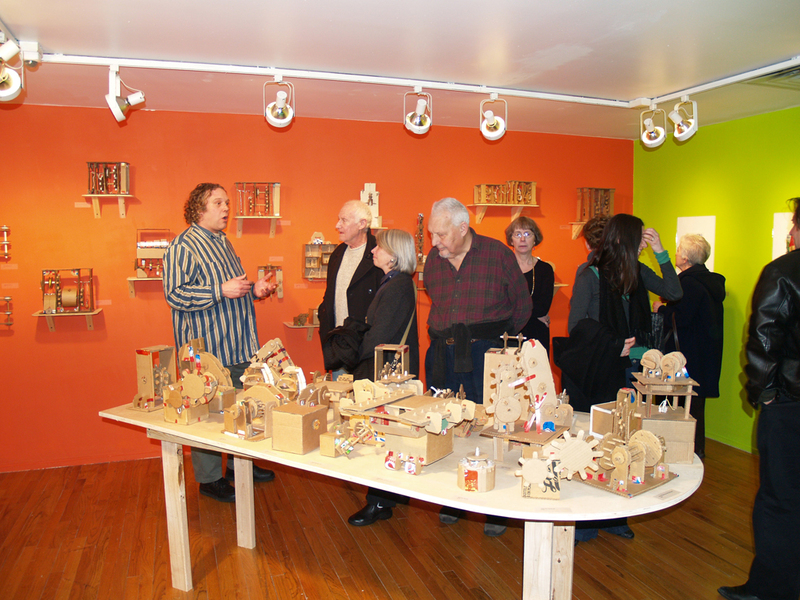 Doug Hill talking about his work at Binding Forces, Pittsburgh Center for The Arts, Winter 2008. Doug Hill demonstrates a robotic hand design at Binding Forces, PCA 2008. Opening of Binding Forces, work by Doug Hill and Dorothy Williams, curated by Tom Sarver, PCA 2008. 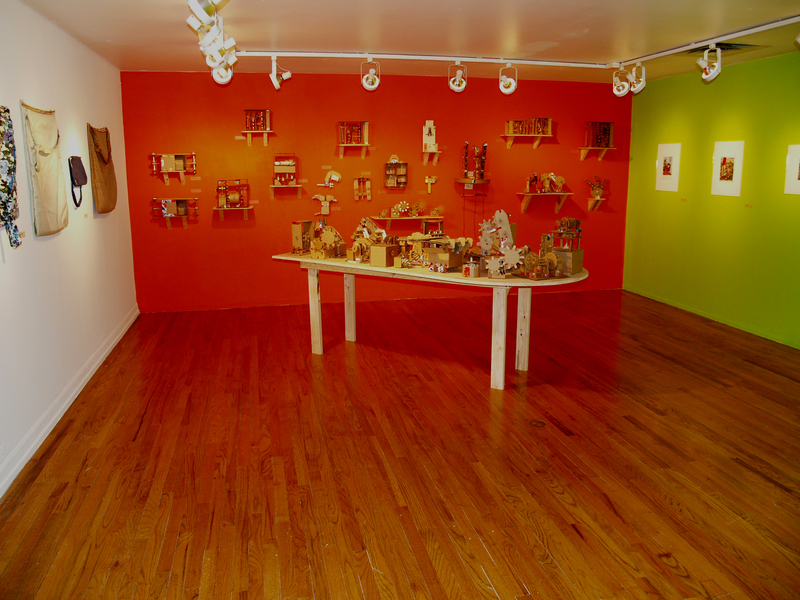 Installation shot, Binding Forces, TS 2008.